The word 'Doula' comes from the ancient Greek δούλη (doulê) meaning “a woman who serves”. Personally I prefer the English translation “mothering the mother”. As a doula I'm a mother and being a trained and experienced professional I provide continuous physical, emotional and informational support to the mother before, during and just after birth. Studies* have shown that when doulas attend birth, labors are shorter with fewer complications, babies are healthier and they breastfeed more easily. 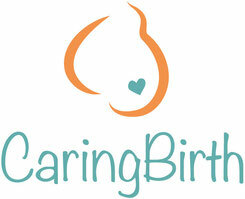 Birth companions provide support to the mother during labour, childbirth, and in the post- partum period. They can also help to recognize danger signs, alert the health-care worker in case of emergency, and care for the baby. Examples of possible birth companions are family members, the spouse, friends, community health workers, doulas, or staff members. Evidence* shows that birth companions can help to improve health outcomes. The presence of birth companions increases the likelihood that the mother will have a spontaneous vaginal delivery instead of a caesarean, vacuum, or forceps birth. 11 Mothers with birth companions have also been shown to need fewer pain medications, be better satisfied with their delivery experience, and have slightly shorter labours. Babies can also benefit. Studies have shown that newborns’ 5-minute Apgar Scores are better and there is improved maternal bonding postnatally when birth companions are present." As an expats wife I've been living 5 1/2 years in Singapore where I gave birth to my two sons. During my time in Asia I was able to gain multi-cultural experiences as a doula. Being back in Germany I also offer my services for English-speaking parents (-to be). * Pregnancy, Childbirth, Postpartum and Newborn Care: A guide for essential practice. Geneva, World Health Organization, 2015. * Managing prolonged and obstructed labour. Geneva, World Health Organization, 2008. * Hodnett ED et al. Continuous support for women during childbirth. The Cochrane Database of Systematic Reviews, 2007, (3):CD003766. * Managing Complications in Pregnancy and Childbirth: A guide for midwives and doctors. Geneva, World Health Organization, 2007.